Periphery have always been an odd band. A jumbled mix of djent, metalcore, prog rock, technical metal, and a dash of jazzy improv, their kitchen sink approach to music has garnered them a steadily growing loyal fanbase, but also kept them somewhat of a niche discovery that baffles most casual listeners. 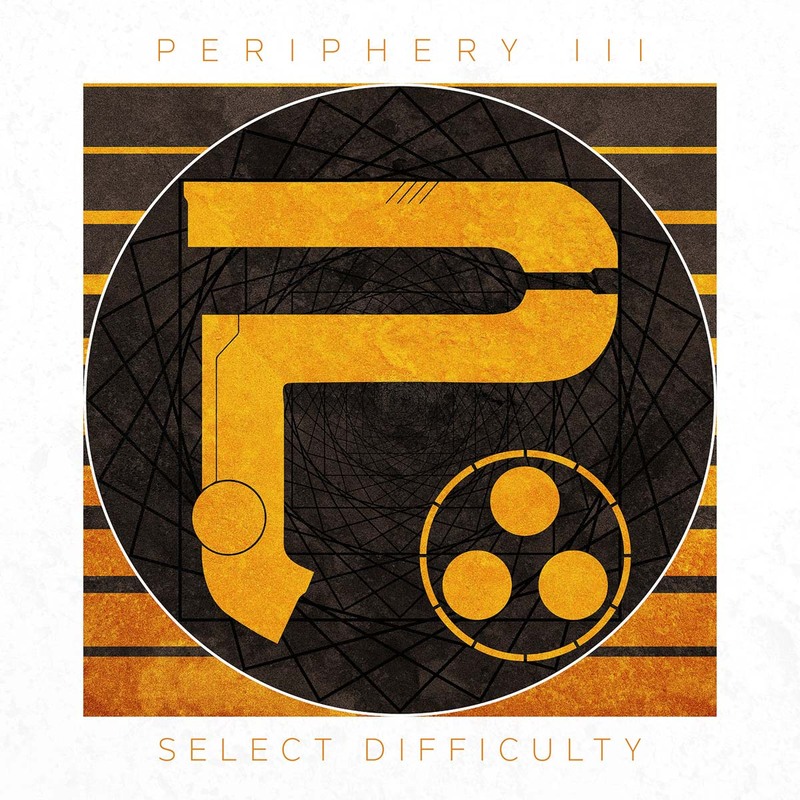 Their newest release, Periphery III: Select Difficulty, is actually their fifth full-length – the third and fourth releases being last year’s partnered albums Juggernaut: Alpha and Juggernaut: Omega – and while it’s a little more focused, it’s still one of the most eclectic albums in recent memory. Starting with “The Price Is Wrong,” they waste no time going as heavy as they ever have. Driven by blastbeats and echoing djent chords, the intro opens into a chugging verse with one wild, lashing guitar shrieking out a counter-melody. The chorus focuses all that energy into a concise, brief pummeling. A dark, spoken-word bridge eases the pressure just in time for the last few bars to thunder back in. “Motormouth” is next, and it’s not just the best song here, it’s Periphery’s best song, period. A mathy intro riff that ends on an exaggerated dive that’s impossible to not headbang to, and the chorus is propelled by a rapid-fire vocal that sounds like Every Time I Die toying with a djent song. There’s even a melodic bridge with bright, ascending scales, which just makes the bass drop at the end sound that much heavier. “Marigold” featuring a dark, ghostly string intro before a guitar enters on the same pattern, sounding a whole hell of a lot like Good Apollo-era Coheed. Even the vocals are primarily clean and high, although frontman Spencer Sotelo displays extraordinary range, adopting a rasp similar to that of Chester Bennington before switching to a huge, Saosin-esque chorus. Toss in the theatrical elements of Avenged Sevenfold’s music and the song should collapse under its own weight, but it never does (although the closing 2 minutes of feedback and reverb seems unnecessary). “The Way The News Goes…” continues the streak of excellent songs, with piercing cleans a beautiful lead guitar run, as well as a chorus mixing huge, triumphant vocals, a horn section, and… constant blastbeats. It’s odd, but it’s certainly attention-grabbing. The middle drifts into a dreamy soundscape promised by the intro riff (fans of Scale The Summit will want to hear this) before an extended instrumental intro takes the same progression and gives it teeth. It still sounds pretty, but thunderstorm pretty as opposed to field of flowers pretty. If the album ended here, it would be a flawless EP. But for some reason, the band drop the aggression that made the first third of the album so riveting, and as a result things begin to unravel. “Remain Indoors” is certainly pleasant, with a shimmering electronic sheen over big, bright, major-key sludge (it makes sense once you hear it). It’s actually quite a good song (that chorus would be a high water mark on many bands’ albums), it just feels a bit tame after the previous tracks, even when screams break out. “Habitual Line-Stepper” tears into some hyper-aggressive drumming and a well-delivered if generic metalcore vocal, and there’s a nice left-field hook used in between verses, but stumbles in the middle when they go for a big, orchestral moment and it just doesn’t deliver. By the time the machine-gun djent chugs come back in it’s too late to save the song. “Flatline” features of tug of war between soaring cleans and vicious roars under a stuttering riff that sounds enough like Disturbed to appeal to new fans while maintaining enough strange twists to please long-time fans, as well as a *great* chorus that has gorgeous cleans and fry screams in equal measure. Once again, though, they veer into jam band territory in the middle and the song and lose their momentum, as the noodling never takes the song anywhere interesting. “Absolomb” sounds like it’s going to blow the roof apart when the bass riff kicks things off, but the rest of the band opts for ghostly lead runs and reverb-soaked vocals and a chuggy background strum, building to a djenty finale that sounds like the logical next step for the song, but is also just as exciting as writing songs for the purpose of making them logical. “Catch Fire” adopts some of Issues white-boy R&B vibe, and it certainly sounds very capable throughout, but also too much like they’re just paying tribute to Issues instead of making their own version of that style. “Prayer Position” also suffers from this generic feel: capable and at times even impressive, but never exciting. That complex intro riff is a lot of fun, the verses pay homage to the dearly departed Glass Cloud, and as usual, the chorus has a vocal that somehow both sounds perfect and utterly bland. Final track “Lune” is a drifting, haunting song, still maintaining its ballad feel even when the music crescendos, but once again it feels like the band aren’t challenging themselves, or the listener. If it sounds like I’ve been too harsh, I have. Tracks 5-11 are still pretty good songs (most a solid 7/10), worthy of a listen, and more likely to appeal to casual fans than most songs the band have delivered, but they just feel disappointing after the first four songs, all of which are must-hear. I’d actually even suggest listening to the album in reverse order (or even shuffle) to minimize this for your first impression, and you may end up enjoying things quite a bit more.